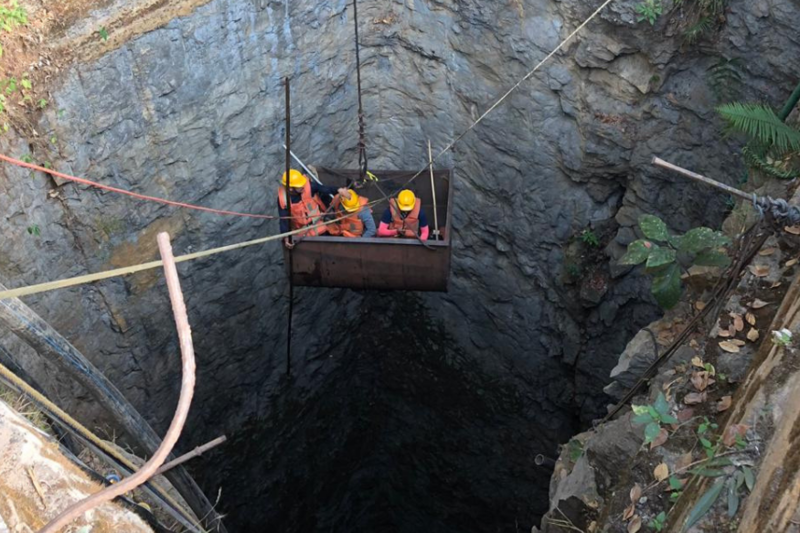 Pumping of water from the coal mine at Khloo Ryngksan in East Jaiñtia Hills district of Meghalaya may be suspended for a time being in order to help the Navy divers to retrieve the second body of a miner. Spokesperson person for the rescue operation, R Susngi on Sunday informed that the Indian Navy continued their search to retrieve the second body which was detected few days ago. “From the video/camera of ROV it is noted that there is a lot of under current flow of water inside the rat holes which might have contributed to the turbidity,” Susngi said. He said as requested by the captain of the Indian Navy, pumping of may be suspended which would help the operation by the ROV. The second body was detected by the under water remotely operated vehicle on January 26. The CIL pumped out water for 36 hours and discharged 48,60,000 litres of water. The Kirloskar pumped for 32 hours since Saturday and the total water discharged was 28,80,000 litres. Pumping of water by the KSB started on Sunday at 2 pm with both their pumps for 6 hours and discharged total 5,94,000 litres of water. About 15 miners were trapped inside the flooded coal mine on December 13 last year. Only one miner’s body has been recovered while body of another miner has been detected. Meghalaya home minister James K Sangma recently said the multi-agency operation to search for the remaining 13 miners trapped inside a 370-ft-deep coal mine in East Jaintia Hills district would continue, as per directions of the Supreme Court. The apex court, which is monitoring the search operation on a weekly basis, has asked the state government to continue with it.